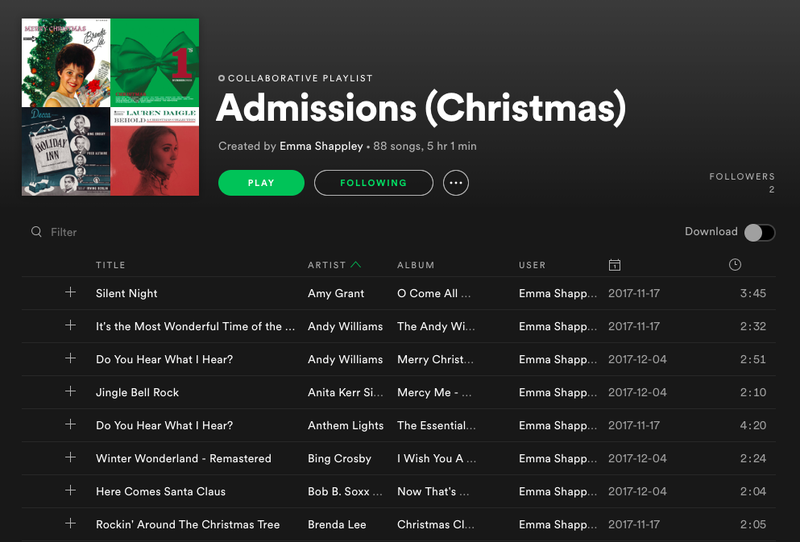 Ever wondered what the Admissions Office is listening to? This month, our playlist is packed with Christmas favorites. From Pentatonix and Michael Bublé to Hillsong Worship and Mariah Carey, put this on repeat while you’re decorating, wrapping, baking, studying, or packing for Holiday travel - it is sure to get you in the Christmas spirit! Click below to access our Spotify playlist. Newer PostThe Top 5 Center for Personal and Professional Development Events Happening this Semester! Older PostGift Guide - GWU Campus Shop!